My name is Ryan Kelly. 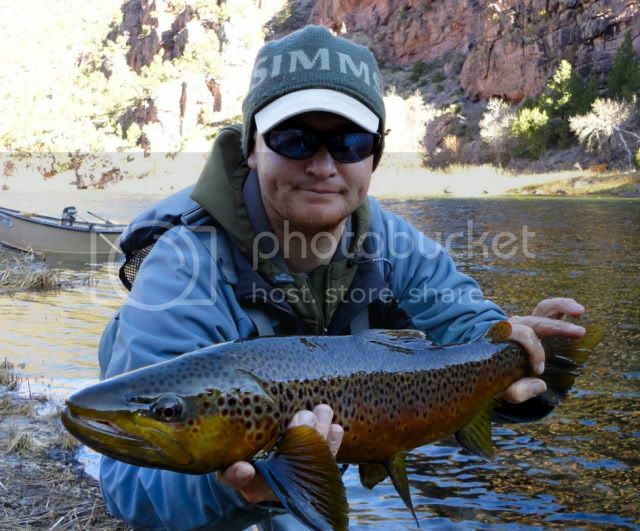 I am a winter flyfishing guide on Utah's Green River. I have been a Green River Guide for the last 15 years currently doing winter guiding with Trout Creek Flies. I have also guided on Utah's Provo River and Patagonia, Chile. I have an incredible wife and a couple of great kids. We love the outdoors and living in Flaming Gorge country. I love to flyfish and I love to teach. Guiding gives me the opportunity to do both. Some of my earliest memories in life are floating down the river fishing with my Lucky Stick. 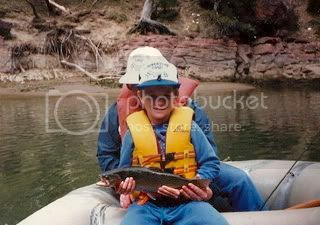 At age eight I started using a fly rod and fell in love with it. 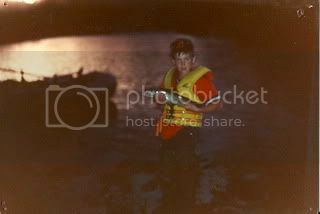 I was referred to as "the kid" by one of the local forest service workers. My real passion is tying and creating new flies. I create or variate new flies on a weekly basis. I love to find bugs on the river and bring them home. I put them on the fly tying desk and think up new ideas. When I create a fly that catches fish with great efficiency it fuels my passion more. 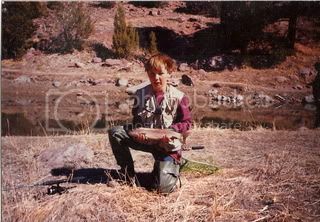 I hope this site will give you a view into the Green River and fuel your passion for flyfishing! What I Like Best About The Green There has been a lot said about the Green and there is great information on the links above. I want to tell you about the things I like best! First is the fish. I think we have the prettiest fish anywhere. A couple of times a day I will look down in the crystal clear water and be taken back by the bright red stripe of a rainbow or golden belly of a brown. These fish often look like there in spawning colors year round. The brilliant color of the fish are almost matched by the brilliance of the scenery. Imagine being a thousand feet below the red canyon rim with the sun glistening making it look like it's on fire. It's incredible! This may be the only river I know that you can catch fish on Dry flies every day of the year. With as many as 20,000 fish in a mile you can always find a few looking up. I love how hard the fish fight on the lower sections of the river. Many times a customer will tell me he's got a monster on and it turns out to be 15 inches long. I often call them the minnows on steroids. You would never know by the crowds on the famed A-section, but fish on the C section may go there whole life without ever feeling steel in there mouth. This section was also rated the best place in North America to catch a football sized trout on a dry fly. Earlier this year I had a friend catch one that looked more like a rugby ball. The history of this area is amazing. There is fantastic stories about famous outlaws such as Butch Cassidy, Sundance, Tom Horn and others. Brown's Park (where the C-section meanders) is one of three main hideouts on the outlaw trail. Brown's Park was referred as "the most lawless place in the west" (The Outlaw Trail, author Robert Redford). If they didn't like you they might just kill you. Its rugged country and rugged people lived there. Last, but not least, is that we have so many different terrestrials. Cicadas, Mormon Crickets, hoppers, beetles, ants, and many others. It allows you to be creative in your fly tying and fish big dry flies. Watching a fish open his mouth over a fly the size of your thumb is amazing. It's what makes the Green the Best.